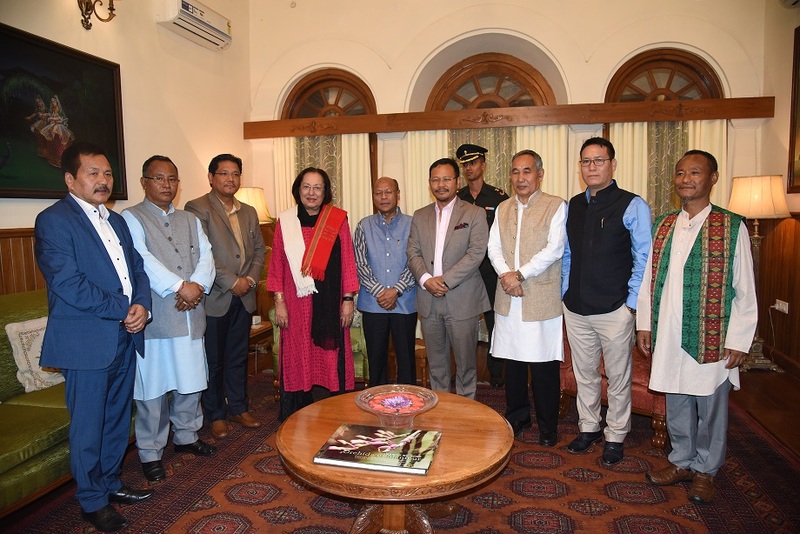 Meghalaya Chief Minister Conrad K Sangma on Saturday evening called on Governor of Manipur Najma Heptulla and Manipur Chief Minister N Biren Singh in Imphal. 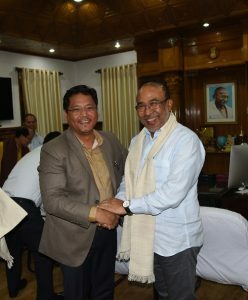 According to sources the visits were courtesy call by the newly elected Meghalaya Chief Minister. During the meeting with the Governor of Manipur, Chief Minister Conrad Sangma invited the Governor to Meghalaya and sought her advice and guidance on promotion of tourism, entrepreneurship and empowerment of women in his State. The Governor also fondly recalled her association with late Purno Agitok Sangma, the father of Conrad and former Lok Sabha Speaker. During the meeting with his Manipur counterpart, Conrad discussed on common issues and agendas relating to both the states to take the North-east forward in the path of progress and development.